Whether as a way to cut costs or simply because they can't bear to think of having such an important moment in a strange place, many brides are opting to have their ceremonies and receptions right in their own backyards. 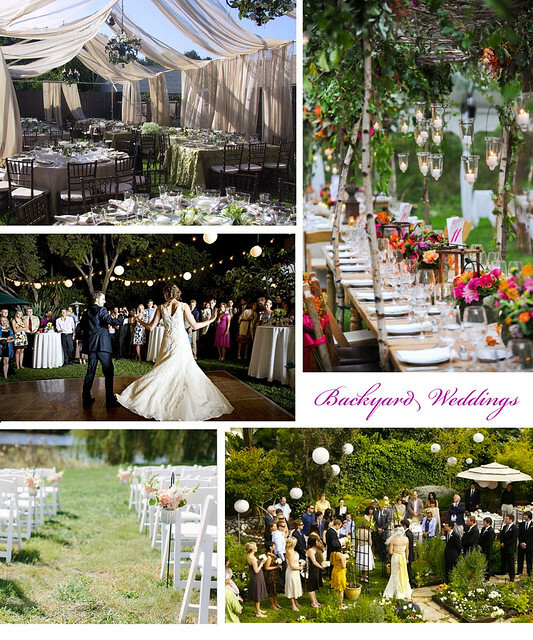 Backyard weddings can be incredibly beautiful and super sentimental. They also allow the hosts to improve their property with money that would otherwise be spent on a venue rental. In fact, I think many brides and their families would say there is a lot of fun in watching the transformation of such a familiar space into something extraordinary.